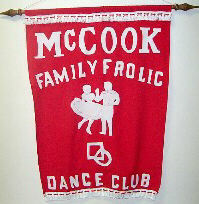 Calls for Family Frolics of McCook, Ne. Calls for Pressy Promenaders, of Broken, Bow, Ne. Helped form Prairie Conclave of Nebraska, a leadership organization for dancers, callers, and cuers.